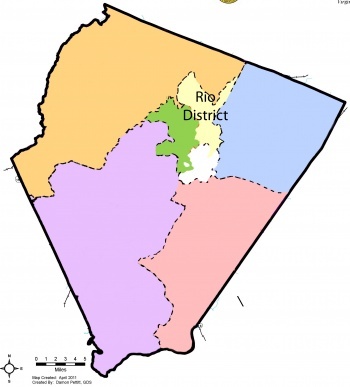 The Rio Magisterial District is one of Albemarle County's six Magisterial Districts, used for electoral representation. It is largely designated growth area, bordering Charlottesville to its south. Brad Sheffield is the supervisor. Bruce Dotson is the planning commissioner. Pam Moynihan is the school board member. This page was last edited on 18 November 2018, at 23:56.